There are different types of Entrance Examinations, for instance your have entrances that are conducted for admission processes, selection of candidates for programs that are institute specific and course based, selection of candidates for government posts or to assess and select candidates for various teaching posts ranging right from kinder garden, Primary teachers, Secondary teachers, Senior Secondary teachers, Higher Secondary teachers up to professors and lecturers for colleges and post graduate courses. The test is mandatory for aspiring teachers wishing to teach Class 1 to Class 8 (wikipedia). Any graduate including B.Ed. 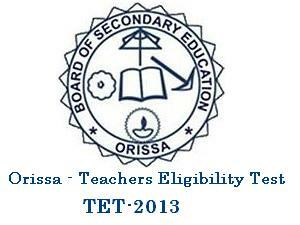 Graduates are eligible to apply for the TET. There is a separate qualifying examination for those applicants wishing to be professors in colleges and for teaching post graduate courses. The qualifying exam for lecturers and professors is the SET and NET examinations which we will be discussing later. Paper I assess its applicants on 5 broad areas, namely 1. Child Development and Pedagogy, 2. Language – I, 3. Language – II, 4. Mathematics and Environmental Studies. Each of these areas comprise of 30 questions and 30 marks each. Paper II tests the applicants on namely 1. Child Development and Pedagogy, 2. Language – I, 3. Language – II, 4. Mathematics and Science or Social Sciences. The forth area is further divided in to 3 categories based on the specialisation of the applicant such as 1. Mathematics and Science, 2. Social Studies and Social Science or 3. either one. The first 3 papers have 30 questions with 30 marks each. While the forth paper has 60 questions of 60 marks each. If you are looking for more information about the TET exam you can always visit our sister website www.way2k.com.